Shari Botwin, LCSW opened her Cherry Hill private practice in 1996. Prior to starting her own practice Shari worked at the Renfrew Center in Philadelphia. She provides individual, group and family therapy with a specialization in treating trauma, abuse, eating disorders, anxiety and depression. Shari holds a Masters Degree in Social Work from Rutgers University. Her second book, Thriving After Trauma: Stories of Living and Healing, will be released in the fall of 2019. 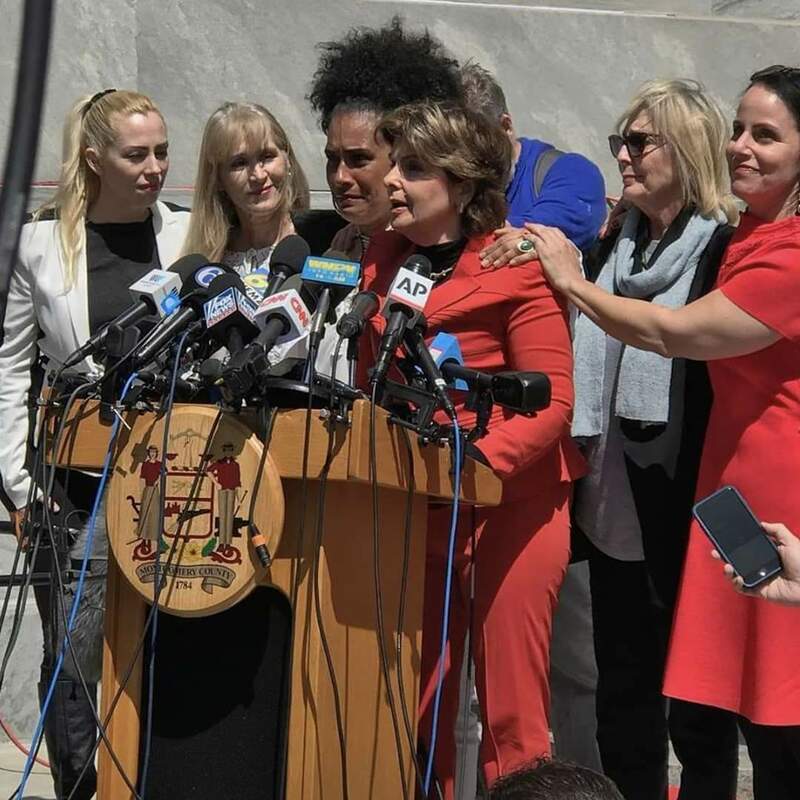 (Rowman and Littlefield) In October of 2018 Shari was featured on the nationally known podcast, One Tough Muther with Gloria Allred. Shari was named the The One Tough Muther Team therapist after giving commentary on the Cosby sentencing. She is a freelance writer​ for Medium Authority ​on breaking stories related to trauma, abuse and PTSD. Moments after the Cosby Retrial verdict came in Shari gave commentary on NBC, ABC, CBS, CTV Canada, MSNBC and CP24 Canada. She also published a feature op-ed the day before the Cosby verdict was reached on Medium and Thrive Global​. On March 9, 2018 Shari presented a Keynote Presentation to a sold out house for Monte Nido on the connection between eating disorders and abuse. On November 2, 2017 Shari conducted a Keynote workshop for The International Association of Eating Disorder Professionals​ on the role of an eating disorder in staying stuck in trauma. Shari's first book, "Free At Last! The Power of Relationships in Overcoming Trauma, Abuse and Eating Disorders (Daybreak Publishing, January 2004) focused on the power of healing and supportive relationships in the recovery process. The book is comprised of patient stories who overcame significant obstacles to recover from their trauma, move beyond using self-destructive coping mechanisms to living a full life. ​A variety of national media outlets; such as The Daily Beast, Huffington Post, Associated Press, ABC News have quoted Shari on #Metoo, Cosby Pretrial, Florida High School Shooting and related breaking stories..She published several feature op-eds in the Philadelphia Inquirer after attending both Cosby trials. Shari appeared on ABC Philadelphia giving commentary on the kids returning to Marjorie Stoneman High School after the tragic shooting on February 14, 2018. On December 5, 2017 the Huffington Post did a cover story on her journey from being a survivor of abuse to counseling other survivors of trauma for over 20 years. On December 2, 2017 the Associated Press featured her as an expert of sexual assault and that article appeared in over 250 media outlets, including the New York Times, Washington Post, LA Times, World News and Toronto Star. During the Cosby trial Shari appeared on CBS National News, CNN, ABC News and NPR offering commentary during the trial and when the case was declared a mistrial. In July 2017 Shari published a feature on understanding sexual assault in the Toronto Star​. Days after the first trial ended Shari published a feature op ed in the Philadelphia Inquirer and Newsworks​. Shari gave expert testimony on trauma recovery for a global podcast on EHR: Mental Health News Radio, which had over 18,000 downloads in three weeks. Shari is a born speaker. She gets to the nitty gritty of dealing with abuse and avoiding taking on the habits of the abuser. Robert Harrington, Journalist for The Palmer​.